Please join us on Thursday, April 18 from 4 PM – 9 PM for a family fun trivia night. Enjoy some delicious food while supporting The Bottomless Toy Chest; 50% of sales will be donated to our organization for our annual Red-Carpet Movie event where we will treat some very special children to a private screening of Toy Story 4. 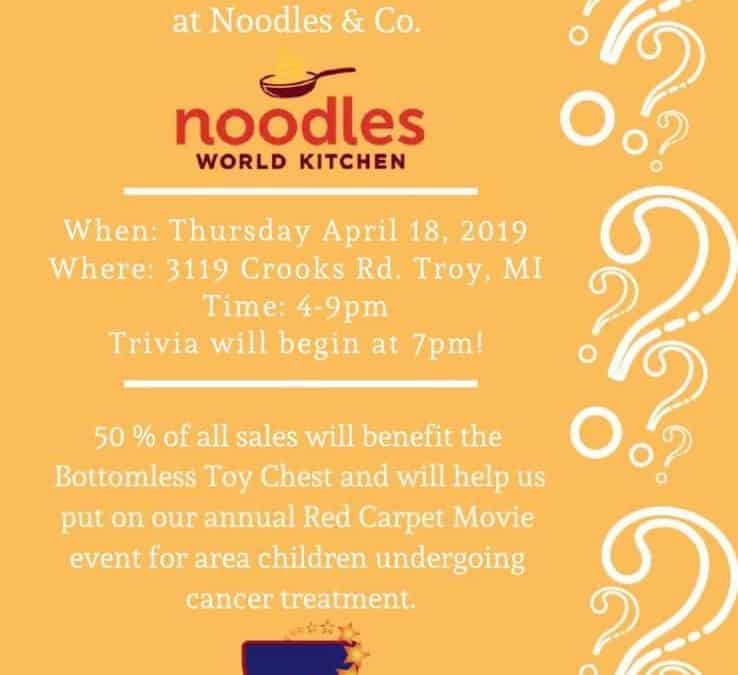 The event will take place at Noodles & Company, 3119 Crooks Road, Troy, MI, and trivia begins at 7 PM.